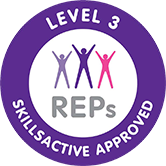 LEVEL 3 ULTIMATE DIPLOMA IN PERSONAL TRAINING. Discover the Ultimate Personal Trainer package and start your fitness career with the best skill set. Demand a higher fee and invite clients from different sporting backgrounds. Not only will you be qualified as an ultimate personal trainer but you will be working with professional athletes in designing and delivering training programs and diet plans. AND... Strength and Conditioning Coach and Sports Nutritionist.